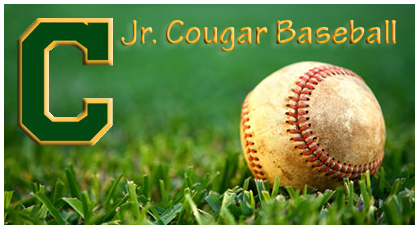 Welcome to the Jr Cougar baseball website. Our program is one of the best school-based programs in the state.. This is not a recreational baseball program. Our kids learn to play the game competitively from the very start. They play hard, they play smart, yet they have a great time in the process. Our goal is to develop great student/athletes who are prepared for playing the game at the high school level and to one day be a Kennedy Cougar baseball player. Looking to purchase a membership for our new indoor batting cages? Click on the registration form and waiver below and mail to the address listed on the registration form.